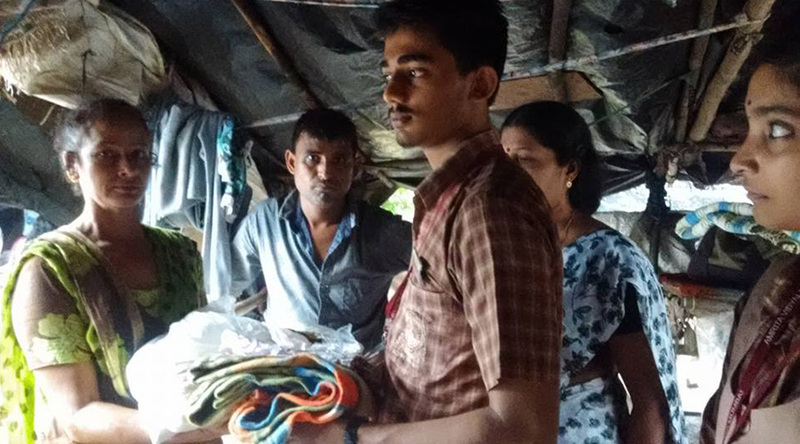 Teachers and students braved the heavy downpour on Saturday, July 2nd to visit families adopted by the school and distribute kits containing rice, wheat, oil and blankets. 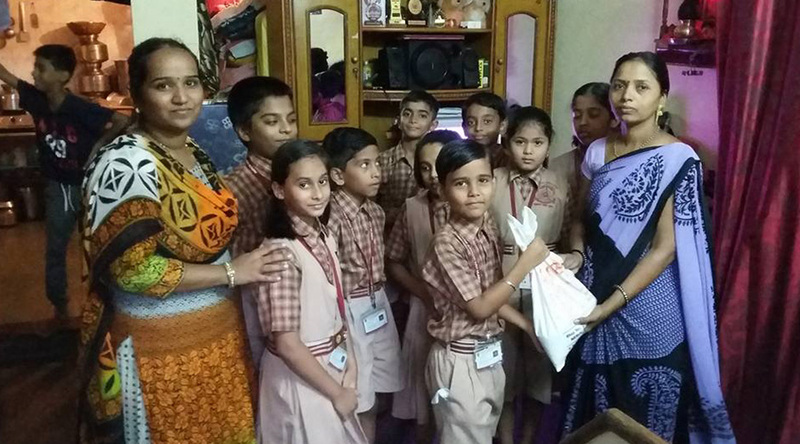 After rendering a prayer to “Amma”, the students from Standards III to XII left school at 9.00 am and visited slum areas in Vashi, Juinagar, Sanpada, Turbhe, Nerul and Shiravane. 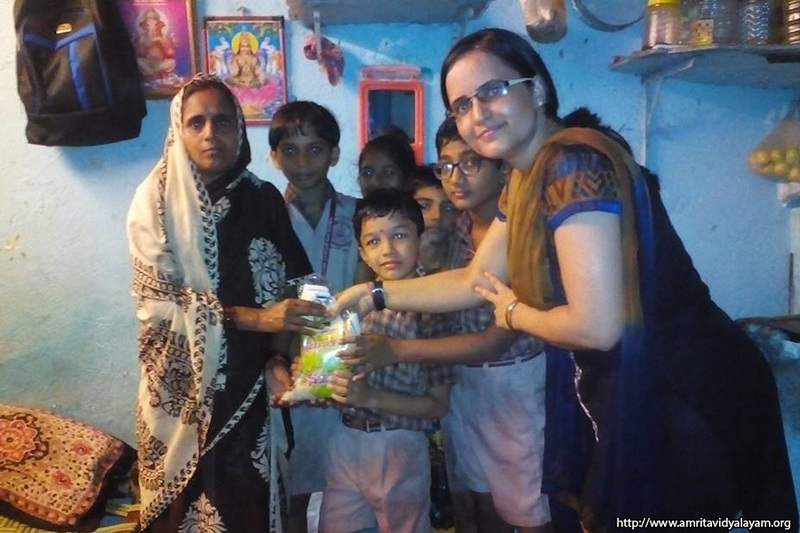 The students were deeply moved by the plight of the families living in deplorable conditions in the slums. 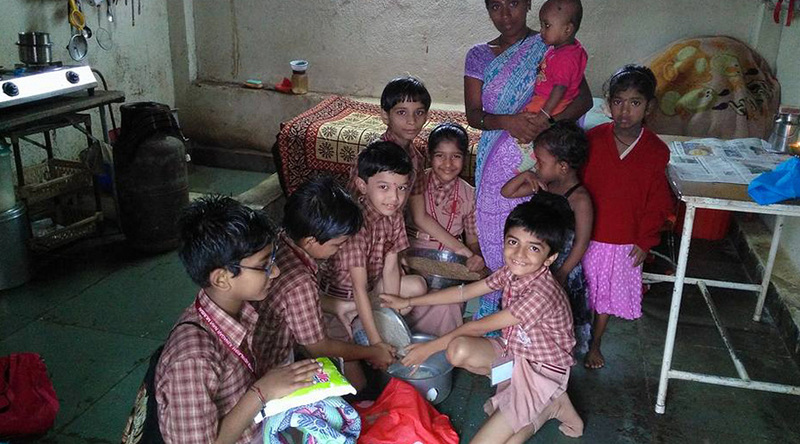 Lack of basic necessities such as electricity, gas and water made our students understand that they are very fortunate to have them. 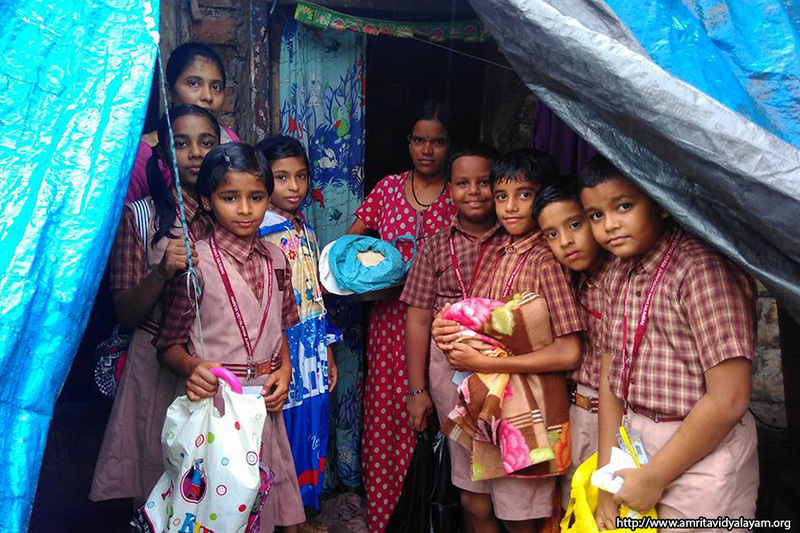 The faces of infants and small children shivering in the rain moved them immensely and they decided to donate toys, stationery and clothes during their next visit. They also decided then and there to save the money that would be used to celebrate their birthdays and come to share their joy with the adopted families. The rains had caused flooding in the shanties and made conditions difficult for people to live in. 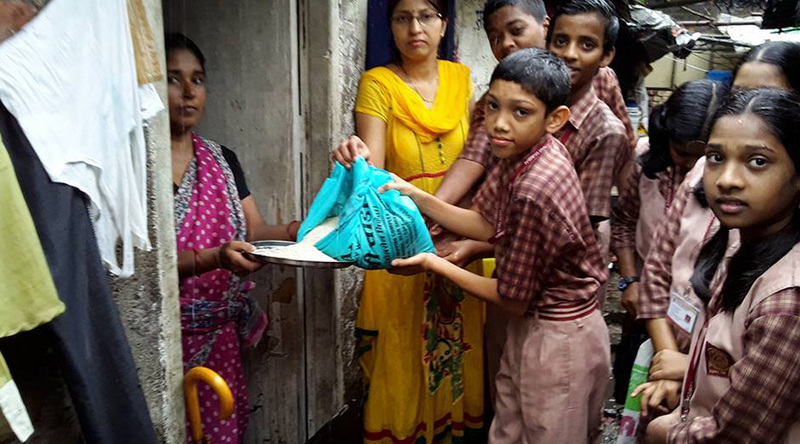 The school has decided to donate tarpaulin sheets which will help provide shelter to the families during the monsoons. 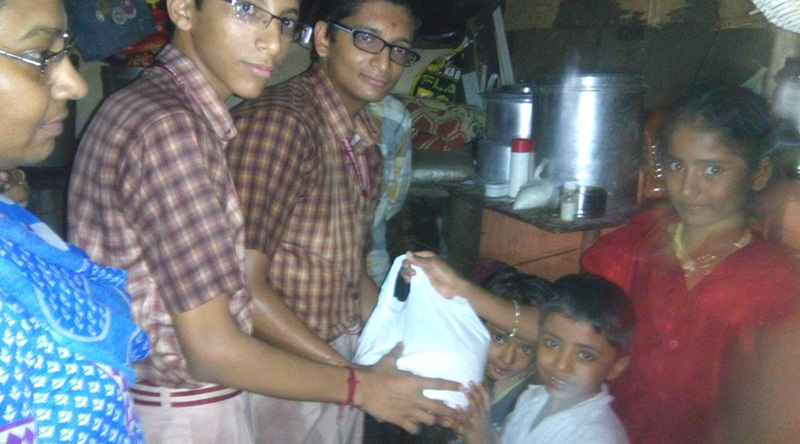 The sight of a small child covered by a vessel to protect it from the rain, and small children going to work to feed their families instead of going to school touched the hearts of our students. 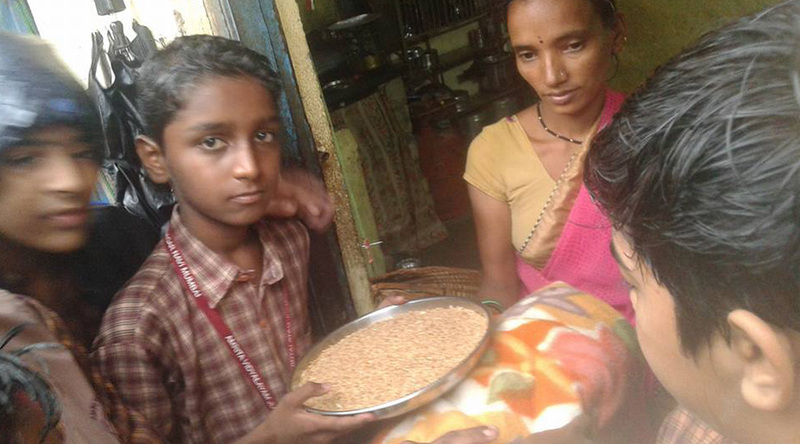 During their interaction with the families, the students found out that getting one meal a day was itself a blessing. It touched their hearts so much that they realized how grateful they should be to their parents who provide them with so many luxuries. 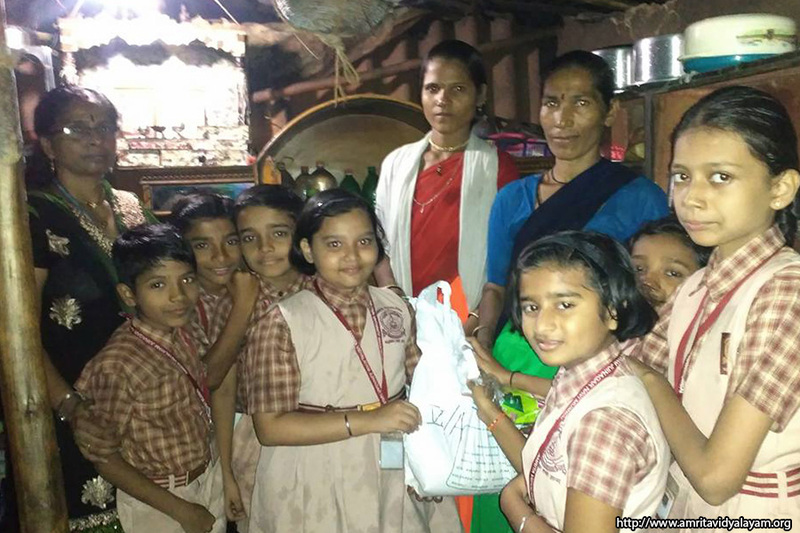 The teachers felt that this experience has changed the children, making them decide not to spend money unnecessarily, but to save it and help the underprivileged. 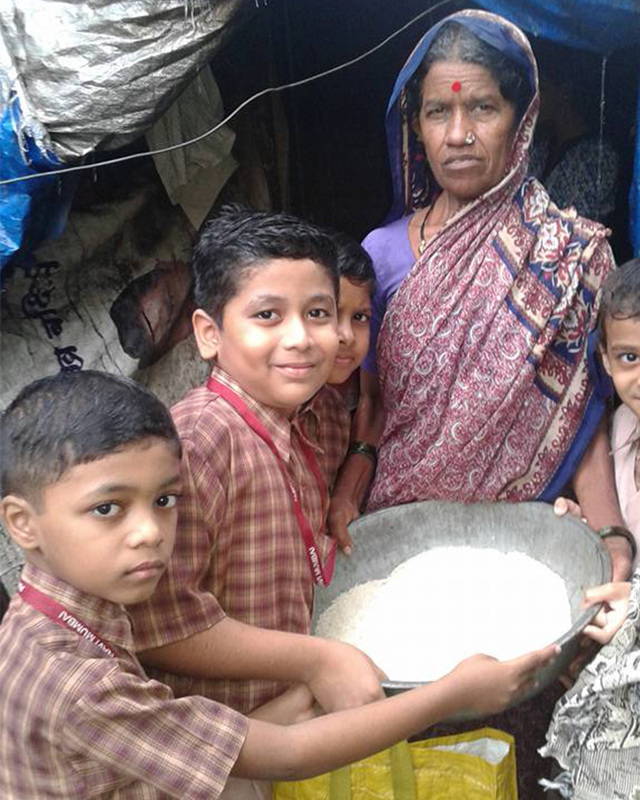 The realization that a ‘handful of rice’ given with a ‘heart full of love’ can bring so much joy and happiness to a person who craves for at least one meal a day was overwhelming for the students and teachers. The students were eager to give up so many of their desires which would help to save money which can be used in a more productive manner. 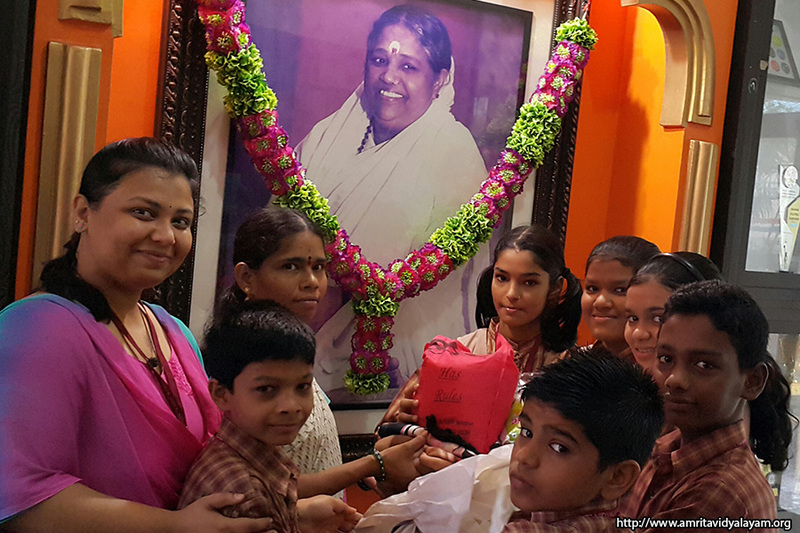 Students of the school touched the feet of their elders and were content to receive their blessings. 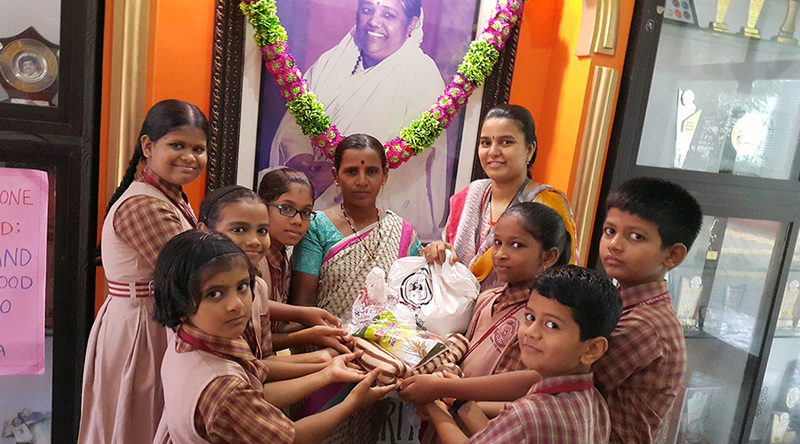 Amma says that ‘if it is their karma to suffer, then it is our dharma to help’. This teaching has been imbibed very well by all our students today through the Sevamritam and Sealing of Desires Project.